Trip highlights: An exciting shopping and sightseeing experience in this metropolis. Enjoy peaceful Zhujiajiao Old Town. Free time to explore the famous Nanjing Road, Yu Market and Shanghai Museum. Upon arrival at Shanghai airport, you will be met by our English speaking tour guide and transferred to hotel. Leisure on your own for the rest of the day. [ Optional ] Nanjing Road: If you are a fashion-seeking shoppers, this is the right place for you where all-in-one shopping malls, gorgeous restaurants and spectacular night views can be found. Buildings with distinctive features erect on both side of the street, huge signboards and advertisements show the city’s prosperity. Full day sightseeing tour in Shanghai. 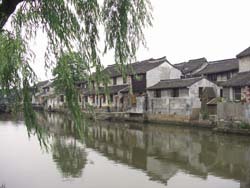 Drive 45 minutes from downtown to Zhujiajiao Old Town. At night, leisure on your own. 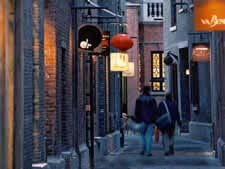 Recommend you to have fun at Xintiandi - an area famous for bars and night clubs. Free time in Shanghai until transfer to airport for flight to sweet home.